Its my friend Debs birthday and I have sent her a 4x4 ( I sent it a bit late so I do hope it arrives on time). 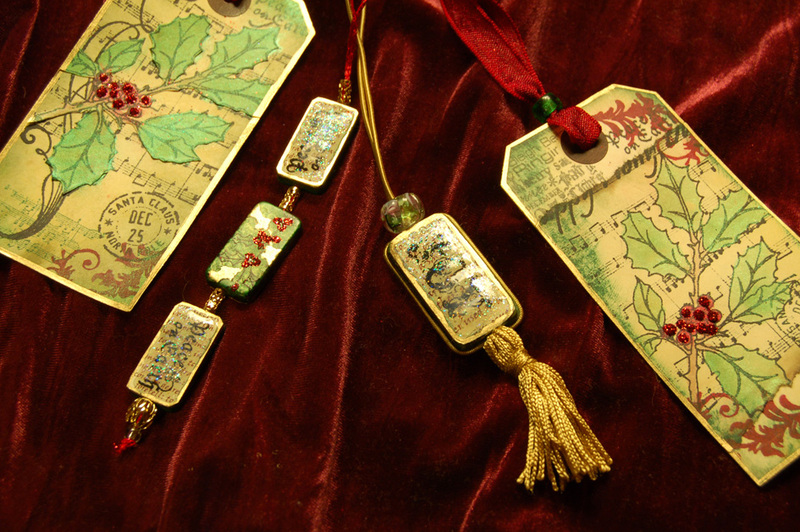 the background is dark green glimmer card with embossed swirls, spritz with Shimmering mist and then rubbed with gold wax gilt. 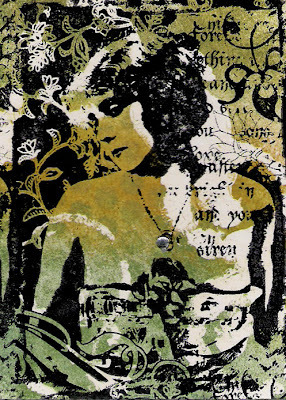 The image has an alcohol inked acetate layer over the front of it. One is done almost completely with Crafty Individuals products. 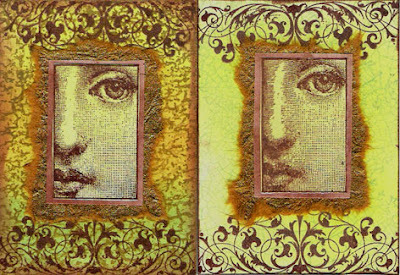 The stamp and the backing paper. 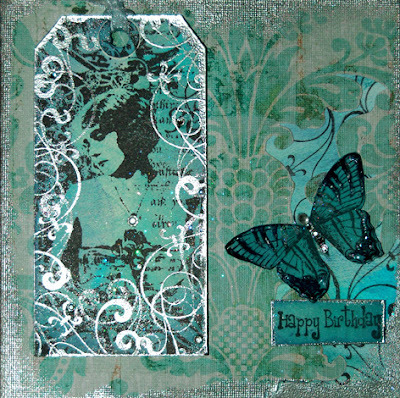 And the second is chalk inks and stamps by Curious by Design. My sisters birthday later this month. 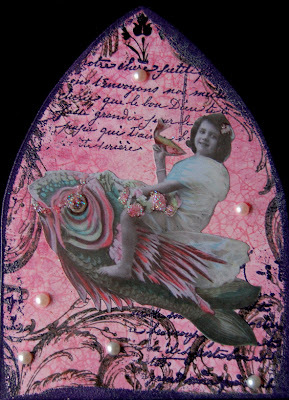 here is a card I have made for her. 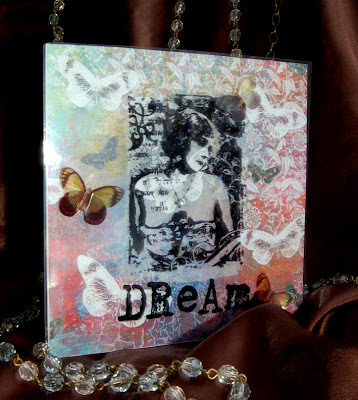 Its paper by crafty individuals then an overlay of acetate with a stamp from Curious by design with some cut out acetate butterflies to add dimension. 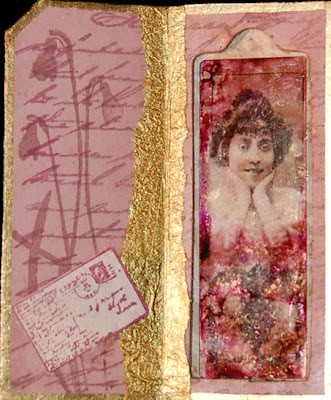 I have not used backing papers for a long time so I hope she likes it OK! 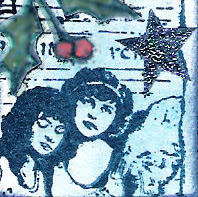 the theme at Inching Artists this week is stars .. and as the only stamps I seem to have out on the table at the moment are christmas ones I have chosen to do a slightly seasonal inchie. 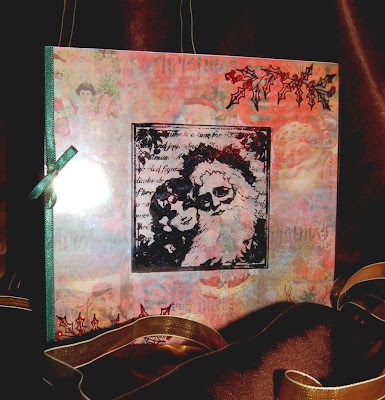 I have not (as yet) made any christmas cards and am now seriously thinking about buying them ALL lol..
We are doing a swap on my forum for Christmas decorations. 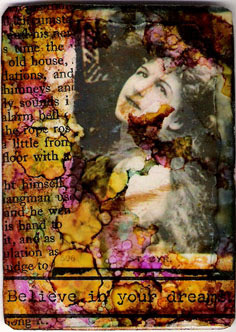 I have done one for the swap and one for the hostess.. (she can choose which is which) and I have done a tag to go along with them . For another swap on my forum. For a swap on my forum. 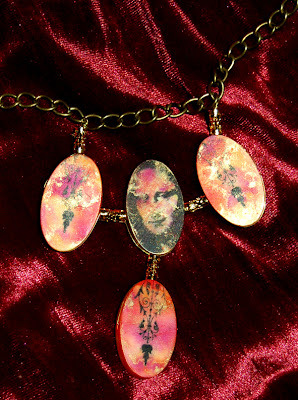 Created By Hand Tuesday challange "Alcohol ink"
This weeks Challange on "Created by Hand" is Alcohol Ink. 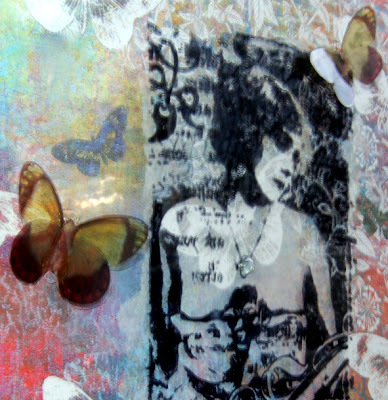 I love making ATC's with alcohol ink on acetate to overlay my main image.. here is one I have done. 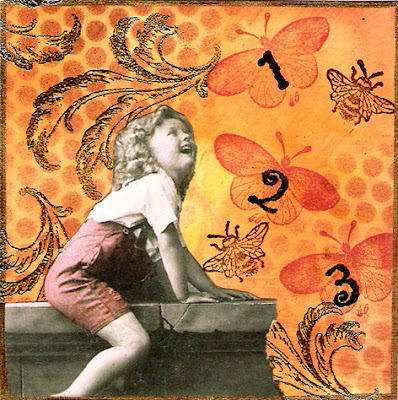 Wednesday Stamper's theme this week is Chairs. 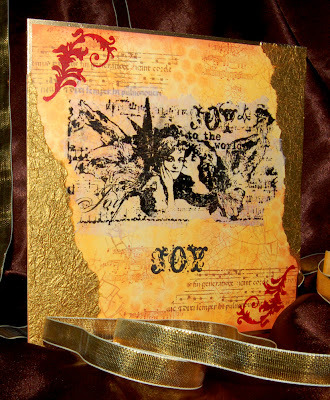 Here is a book page I made for my friend Nicole. This months colour swap on my forum is green! 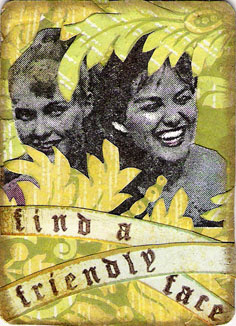 And as well as that I have done a "make me happy" ATC for a forum friend. 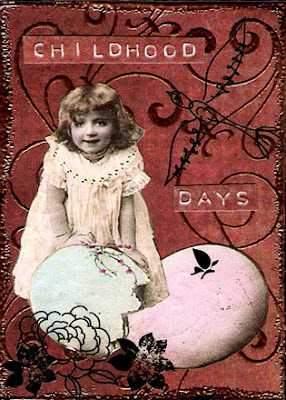 I dont "Do" cards really anymore. 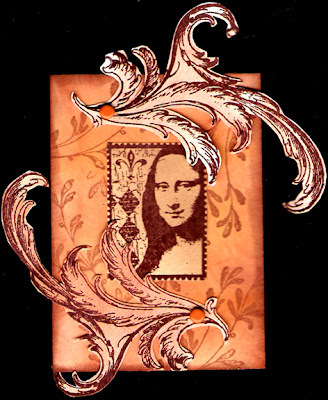 Its how I got into paper crafting but I much prefer ATCs and Altered art. Still, My mum still asks me to make all her cards so she has regular orders from her and her friends. This is her latest for my cousin. Hope she likes it OK. This week's theme on Theme Thursday, is "script". 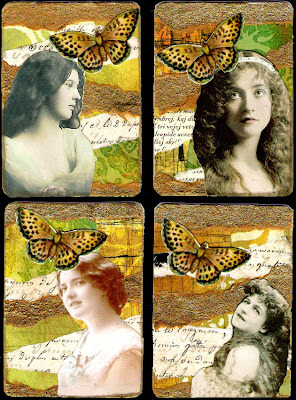 I have done a set of 4 ATCs all using script paper. 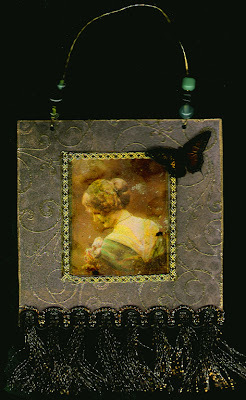 Another challange site which is right up my street Mixed Media Monday. 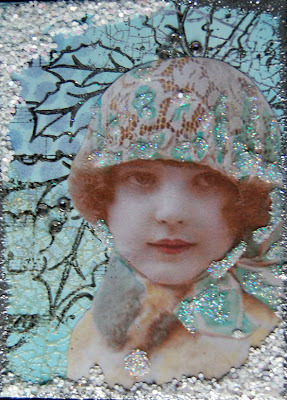 There theme this week is Vintage women.. 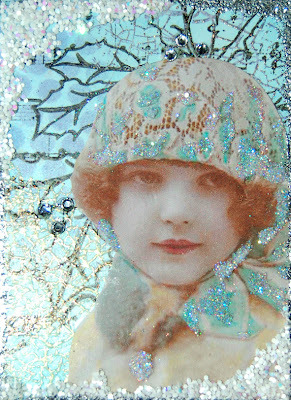 I am submitting an ATC this time but am about to go start another slidemailer. So maybe I will do the same theme with that :-) .. This image is my dad as a boy.. and even as a man he never forgot what it meant to be a boy and kept his inner child well cared for. which gave my sister and I hours of fun as he crawled about the floor acting as a horsey or a choochoo train whilest we sat on his back ordering him from room to room.. or when he told us bed time stories involving little animals with names who became like friends to us. I am a bit late for the 4x4 challange blog as I had intended to upload this a couple of days ago .. I am taking part in a charm swap on my forum and I have to admit I made several attempts and rejected them before making do with these.. I had beads .. bottle caps .. shrink plastic!! you name it.. These are cultured stone and are 2cm x 2cm. 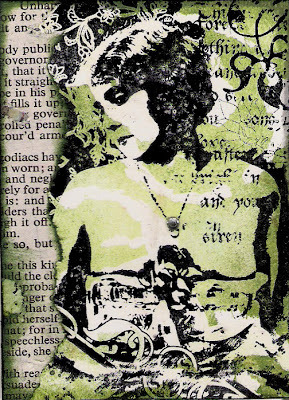 I have alcohol inked them and then stamped Ophelia (stamp from the Stampsmith) on them. 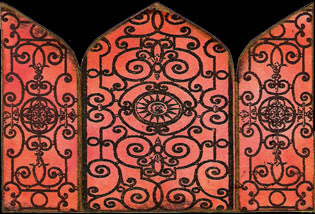 I am now contemplating adding some kind of embellishment .. perhaps a small bit of embossing detail ..
My friend Mandy is running a gothic Arch swap on our forum for halloween. This is mine ,I think ... 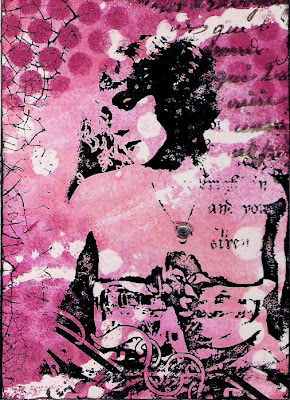 I may change my mind and do another as I have just been and had a look at Mandy's lol.. hers are very cool! 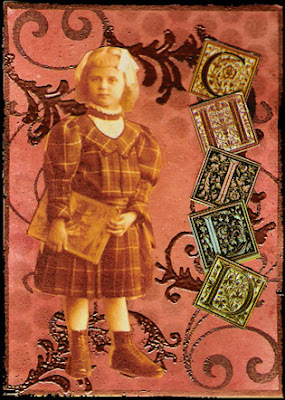 One of the swaps on my forum this month is childhood ATCs.. 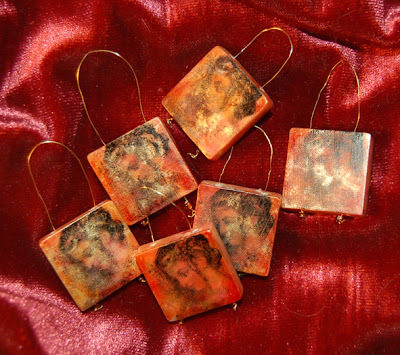 I am doing Joannes Inchies swap this month. 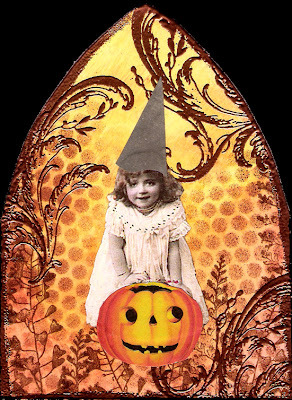 The theme is inspired by Halloween and Autumn, its the colours Orange and black. Made for a forum swap. Wwell for one reason or another I have not had a lot of time at the craft table but here I am at 2:40am with nothing better to do lol. SO I did a quick card for Saturday Stamper. Its simple but I am pleased with it none the less. Slide Mailer for Crafty Individuals. 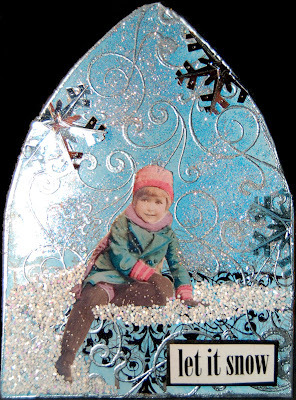 I was asked by Malcome at Crafty Individuals, If I could make a slide mailer using their images.. 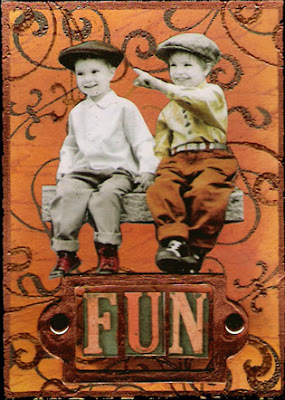 The main image inside the slide mailer is by crafty Individuals as is the text background stamp. 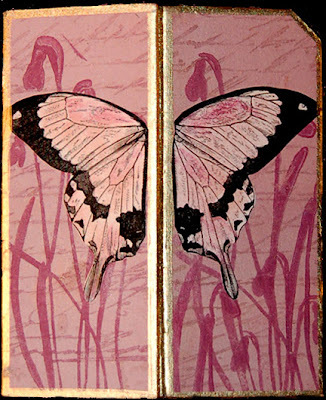 the butterfly wings are also crafty individuals Images that I have tinted with chalk inks. 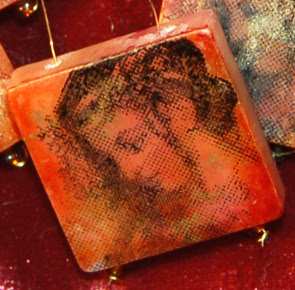 I bought a couple of packs of these cultured stones with holes drilled in them .. the holes are not drilled the way I wanted them so I have had to twist wire round to hold them in the direction I like. 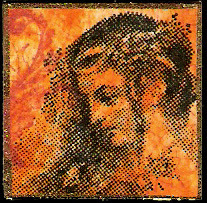 Well here is My ATC .. Not much to add really lol.. The theme for this was Travel and Journey.. 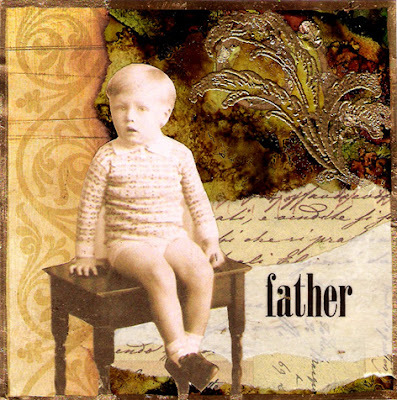 I have I am afraid gone with the very familiar style used for this theme by many many people .. 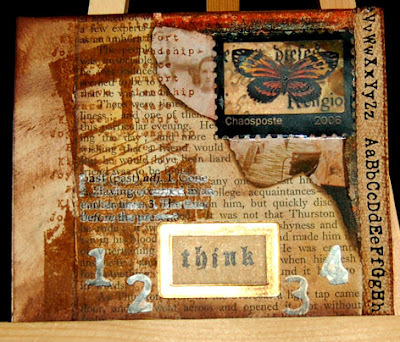 I think personaly inspired by Tim Holtz. So nothing very new here. But its a style I am still very fond of! 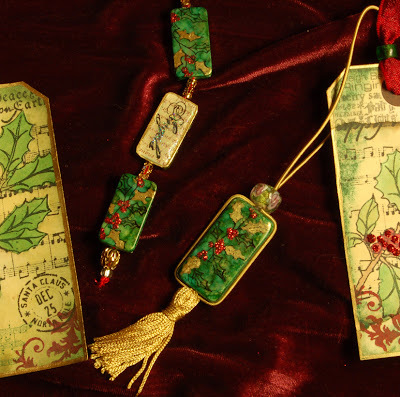 You May notice I am STILL using the Purple onion Designs flourish stamps on EVERYTHING. 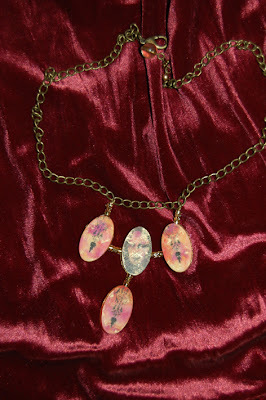 and so far 4 friends have been inspired to buy them because of it.. 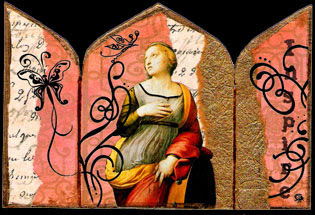 I went wandering round blog land and by one method or another I came accross one called "A Time 4 Art" I dont know the artist and cant find any info not even in the profile but I wanted to acknowledge this blog anyway. Its gorgeous and full of wonderful things. If the owner reads this by some fluke then I want you to know it is a very very inspiring Blog. Its 4.30am and Daniel (my husband Mike's 16 year old son) and I cant sleep. Me because Mike had to stay overnight at his mum's and Daniel because he just isn't tired. 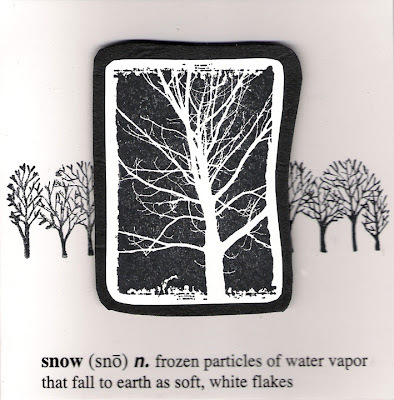 So Daniel came to the craft table and asked if he could make an ATC (the 3rd ATC he has ever made). 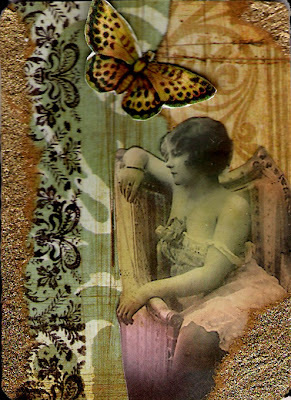 We both sat together and made the same ATC almost but they turned out differently. I cant stop thinking of chocolate lime sweets now. Mine is on the left Daniels on the right. We have a monthly work out on one of the forums I live in and this month we had to make something using the resist technique and it had to have flowers in the resist.. I made this Tag and it went to Joanne.. so I hope she liked it ok .. its a bit bright !!!!!!! 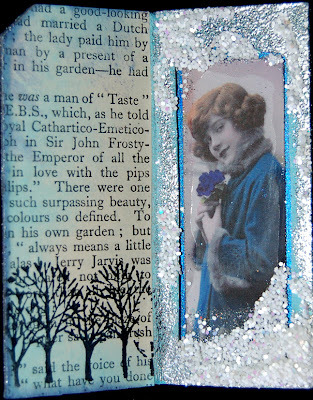 A hard card box that I knew I had to keep for something .lol.. well I ahve altered it for a circle of friends gift for a forum friend .. and an actual in the person friend too as its not just on the internet we have met..
Its coverd with Basic grey Papers .. I need to get a set of these for my friend Mandy.. She will love them ..